Experien Insurance Services is a national insurance brokerage that specialises in life insurance and income protection insurance advice for doctors, dentists and other medical professionals. 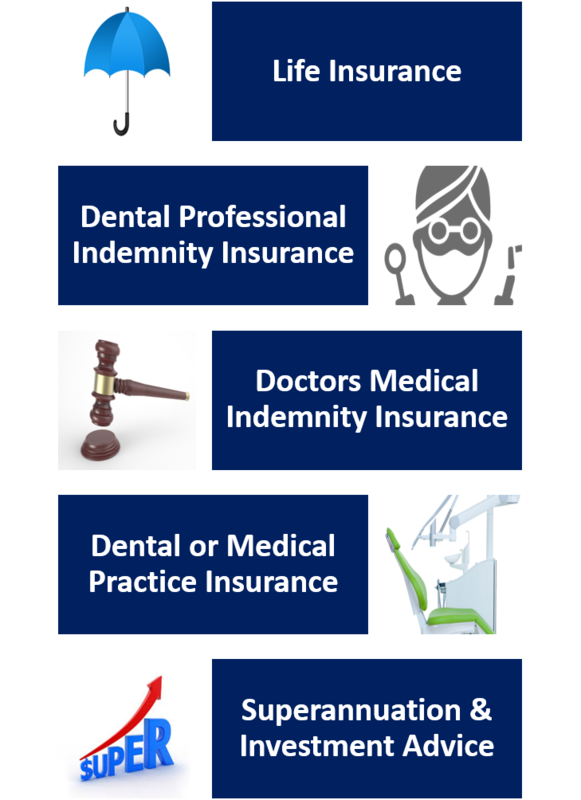 Experien General Insurance Services is a wholly owned subsidiary, specialises in providing medical indemnity brokerage solutions for doctors and professional indemnity insurance for dentists, as well as business insurance for medical and dental practices. So doctors and dentists can have their complex insurance needs serviced by one company. Experien Insurance Services are the preferred provider of insurance to BOQ Specialist which is a well known specialist banker to the medical, dental and vet sectors. Experien Financial Services is also a subsidiary company that helps medical, dental and other professionals to manage their retirement savings by providing a rigorous planning service, supported by a cost effective investment platform and administration service to implement our advice. Experien also deals with thousands of clients in other occupations and industries. We have access to an extensive product range across many insurers and use comparitor software and our own research to seek the best solutions regarding price, policy features, financials security and service. We review your insurance needs and any existing policies to provide tailored recommendations. The true value of insurance is recognised in the event of a claim. We understand that you require speed, empathy, ease and convenience when making a claim. This is why we are there to manage any claim every step of the way, ensuring you receive the best possible outcome. We recommend insurance policies that cater to the specific requirements of medical professionals including doctors, dentists and vets. There are many areas where this plays out; for example needle stick cover, own occupation cover and if you are moving from employed to self employed. We utilise our expertise and relationships at the time of applying for insurances. Extensive experience in having managed many claims for our clients.. Ensure tax efficiency in how you stucture your policies. We work with our clients on an ongoing basis, guiding many medical professionals over the journey from internship to becoming fully qualified specialists. We also support these individuals when they establish their own practices or go into partnerships. We are a business built on relationships. Our business has been built on providing ongoing advice and full relationship management as part of our service offer. 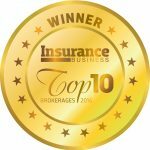 We are excited and proud that Experien Insurance Services has been named one of Insurance Business’s Top 10 Brokerages by Insurance Business Magazine in 2017 and 2018. Our advisers and para-planners are compassionate and enthusiastic people who thrive on helping clients and each other. They strive to not just get great initial results for clients but nurture a long-standing relationship with each client and support them through life changes and, most importantly, any claims. Read more about this award and an interview with CEO, Clive Levinthal. ClearView is responsible for financial planning advice provided by us as an Authorised Representatives. Please refer to the Financial Services Guide (FSG) for the scope of our authority under ClearView. ClearView is not affiliated with nor does it endorse other business activities conducted by us. The information provided on this website is general only. You should not act on any of the information given without an appropriate assessment of your situation by your Experien licensed Financial Planner. Experien Insurance Services Pty Ltd ABN 99 128 678 937 is a Corporate Authorised Representative (No. 320626) of ClearView Financial Advice Pty Limited ABN 89 133 593 012 AFS Licence No. 331367. General insurance services are provided by Experien General Insurance Services Pty Ltd (EGIS) trading as Experien Insurance Services ABN 77 151 269 279 AFS Licence No. 430190. inancial advice services are provided by Experien Financial Services Pty Ltd (EFS) ABN 32 631 346 757. EFS is a Corporate Authorised Representative (No. 001274354) of ClearView Financial Advice Pty Limited ABN 89 133 593 012 AFS Licence No. 331367.